Welcome to Lost Spirits of Kael’s press kit. Lost Spirits of Kael is an action-RPG with focus on atmosphere. You play the role of a young painter who has lost his inspiration and tries to get it back in the Forest of Kael. There, he meets a mysterious harpist who covers the forest with magical mist by playing her harp. 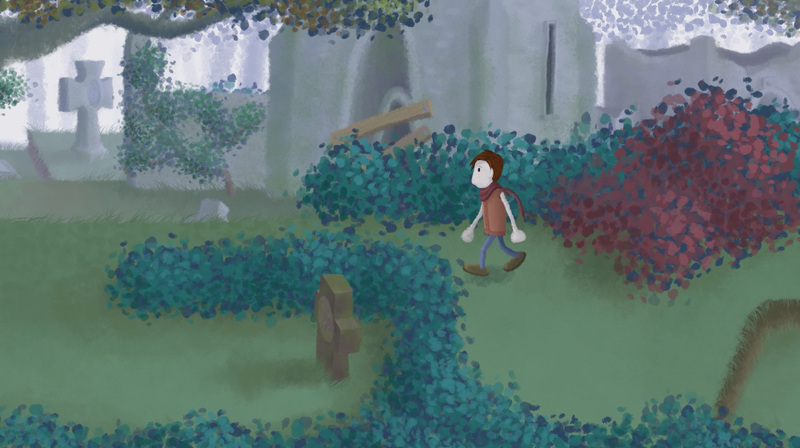 Lost in this creepy forest covered with graves, he will have to find his way out. But the forest has mystical powers that makes finding one’s way nearly impossible, and some of its inhabitants will try to stop him. 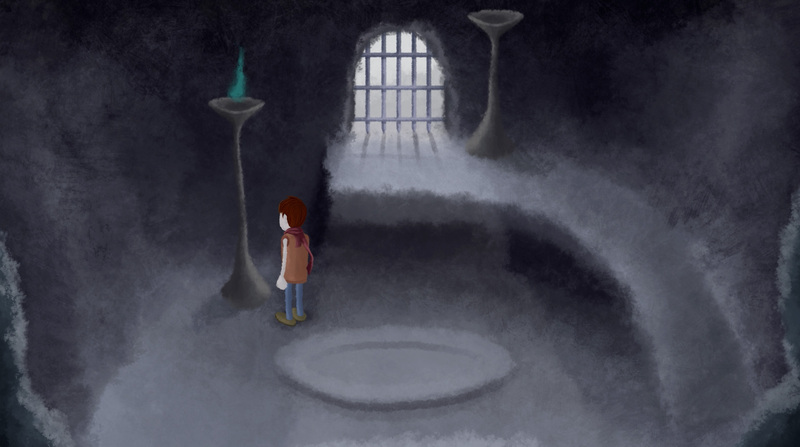 The game is about loneliness and finding one’s way into the unknown. How lost will you get ? What is the state of development of the game ? 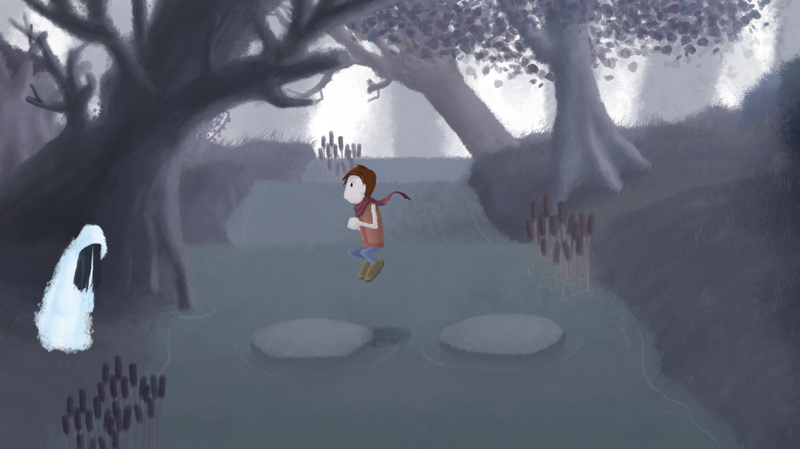 The game occurs only in the forest. However there are many different areas that have a different look. The game is « widely open worlded », meaning that the player can access any zone (except the final area) as soon as he finishes the tutorial. If the player is about to enter a dangerous zone, he’ll be warned of it, but he can enter it anyway if he wants to. The game consists of different areas. The main area is much bigger than the others and very labyrinthic. All other areas are accessible from the main area. The game features many teleporters, somewhat similar to « The Lost Woods » of Zelda III or The Phantom Forest of Final Fantasy VI. If the player walks into a teleporter background, he gets teleported without noticing it. However, this mecanism is much more fair and fun in Lost Spirits of Kael, as the player can actually SEE the place he is walking to in the background. If he recognizes a place he already went, the player can guess it is a teleporter and react accordingly. The main character is a painter, fighting is not his cup of tea. He can use his paintbrush to mark his way into the forest, but as he doesn’t have paint, he should use his blood to do so, losing life in the process. The player will be able to equip a few weapons, most of them have to be found in secret areas. Fights are hard, however, most of them are avoidable. While beating bosses, the player will obtain their souls, which he can equip to boost some of his abilities. Equipped souls gains experience and power while beating monsters and bosses. When the player dies, all of his equipped souls lose HP. When a soul’s HP gauge is empty, it is destroyed definitely. If no souls are equipped, all souls lose experience when the hero dies. 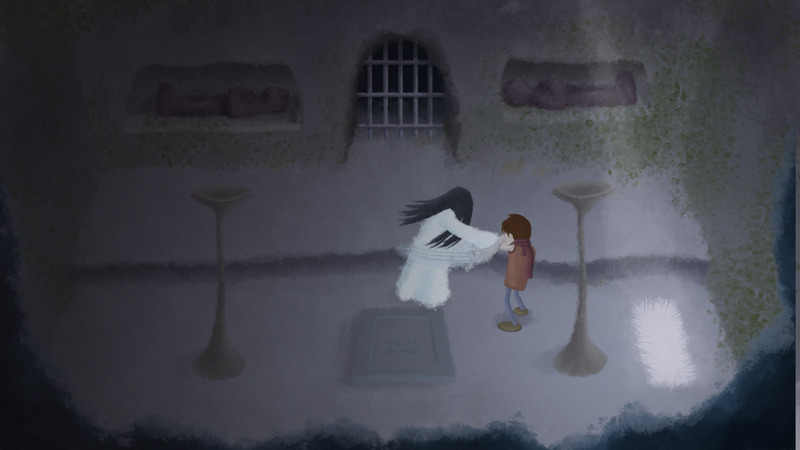 The main character is animated with more than 500 hand-drawn sprites. Music will feature many solo harp and solo piano tunes. Lost spirits of Kael uses a special type of view, more horizontal than most 2D games of its genre. It creates this unique impression of going deeper into the forest. There are enemies in the forest, but most fights are avoidables. Enemies react to player actions, and may become agressive or neutral under certain circumstances. As for every game’s development, money would help Rablo Games to finish the game sooner and in better conditions. The approach I have chosen is to publish part of Lost Spirits of Kael’s OST on bandcamp, and propose the fans to purchase it from now on. Up to now, five tracks are proposed for free listening and purchase. One additionnal little track (solo harp) is available for free download (limited download count). Many other tracks will be added, and fans who have downloaded the full album will receive all the other tracks for free, as soon as they will be published. Lost Spirits of Kael is not story-driven but rather atmosphere-driven. There are some dialogs, but not much, you won’t spend hours talking to people. The hero is alone most of the time anyway. Mystery is an important aspect of the game. Synopsis : You play the role of a young painter who has lost his inspiration and tries to get it back in the Forest of Kael. There, he meets a mysterious harpist which covers the forest with magical mist while playing her harp. 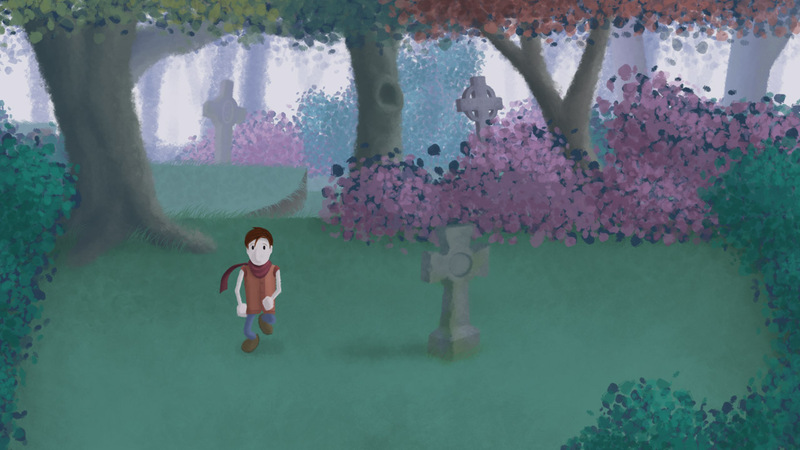 Lost in this creepy forest covered with graves (but no zombies), he will have to find his way out. What is Rablo Games ? It is the company name created by Pablo Coma, because « Pablo Coma Games » doesn’t sound so good. Pablo Coma is the only member of Rablo Games, and has done everything in the trailer, from the first pixel to the last music note, after work hours. What is the state of develoment of the game ? The game development started in september 2012. Art is around 40% finished. Music is around 50% finished. Some tracks are already downloadable from rablogames.bandcamp.com (for funding purposes), but more tracks are ready or need just slight tweaking. Programming is not much advanced, as Rablo Games still needs a programmer. Thank you for your time. Don’t hesitate to contact me for further informations.